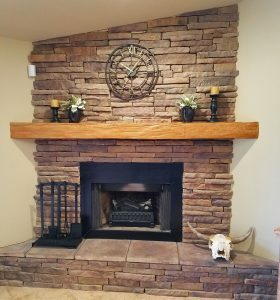 Gayle from Arizona recently finished installing her Endurathane faux wood beam that she purchased a couple months ago. Typically, customers install the beams as decorative ceiling beams; however, this customer went the more creative route. 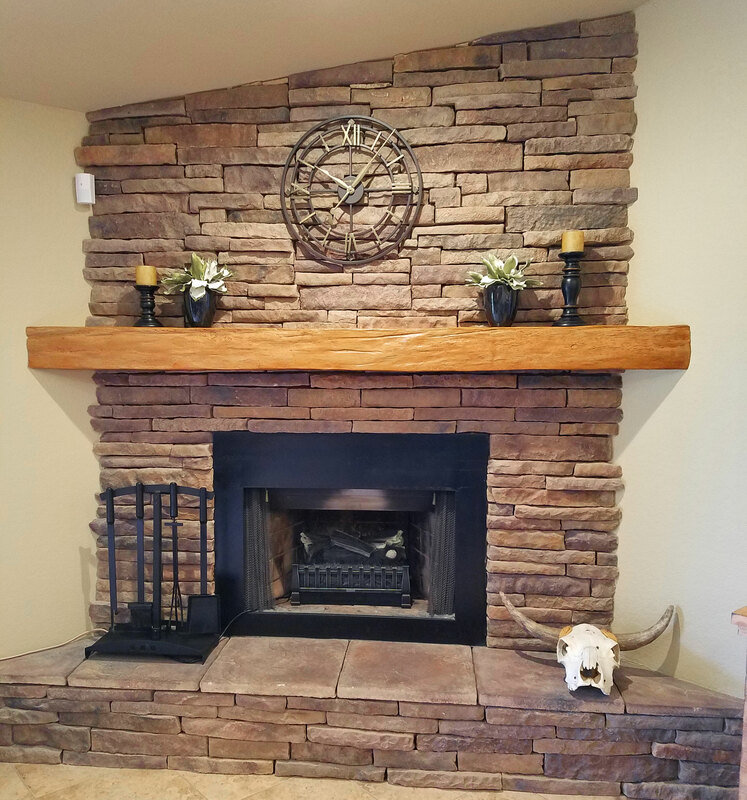 Using the beam as one long shelf, Gayle completed her mantle piece. It is supporting a couple plants and candles as depicted by the photo that was emailed to use! We admire her creativity and thinks it looks beautiful!